As the New Year turns to 2017 we have launched a few new things to help you stay motivated to learn to read Japanese. 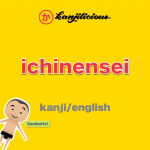 First and foremost we have 9 new levels in Kanjilicious: Game Your Japanese. This brings the total to 20 levels and leaderboards, and you can review over 300 characters, score your progress, and challenge friends through GameCenter. Our hero Riki has begun training in Tokyo, but he’s having some trouble adjusting to the Hiromichi stable. He’s made a new friend, Nami, the daughter of the stable’s oya-kata, and the oya-kata himself has taken Riki under his wing with some extra practice. One of the comments we get about Kanjilicious is that we don’t really introduce new characters as you progress. We are working on some features, but in the meantime we have created some flash cards on Duolingo’s TinyCards app to help you get familiar with new characters. 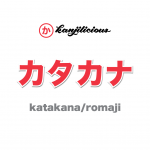 We have a deck for Hiragana, Katakana and Grade 1 available now. 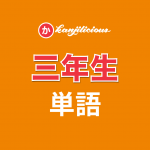 We’ve also developed a simple and colorful set of stickers that beginners can use to get some initial practice using hiragana while SMSing their friends. 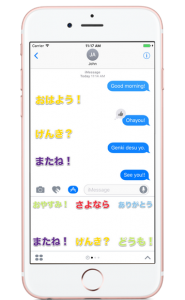 The Stickers, available in iMessage, allow you to add stickers to pictures, or to use a few common phrases without a Japanese keyboard. 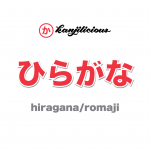 You can read more about the Hiragana Sticker Pack on iTunes. Lastly, we’ve posted a few new t-shirt designs on Threadless. There are few designs, including a couple of styles that feature Riki as he evolves to a yokozuna, and our new catch phrase “Keep Calm and Ganbatte Kudasai“. As always, we would love to hear from you—how your studies are going, what we can do to help. You can send us a note via the newly redesigned Kanjilicious website, on Twitter or Facebook, or leave us a comment on Kickstarter.